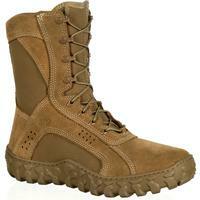 Training with Confidence, Courage, Commitment and Comfort. 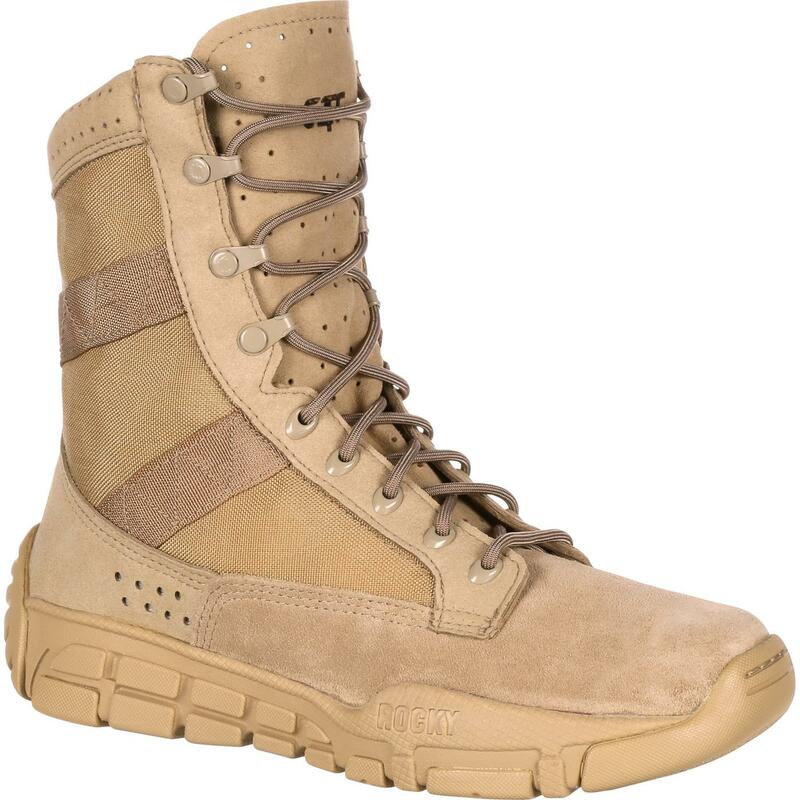 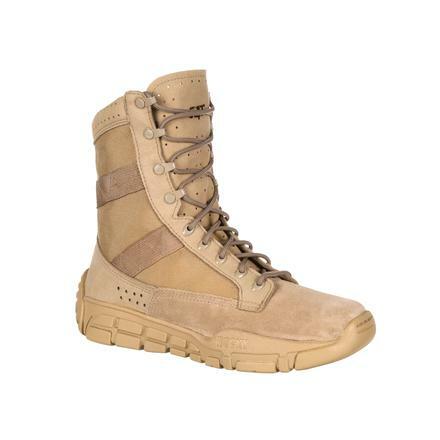 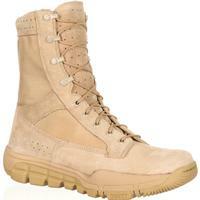 The Rocky® C4T Trainer Military Duty Boot is the lightest military performance boot Rocky has ever made. 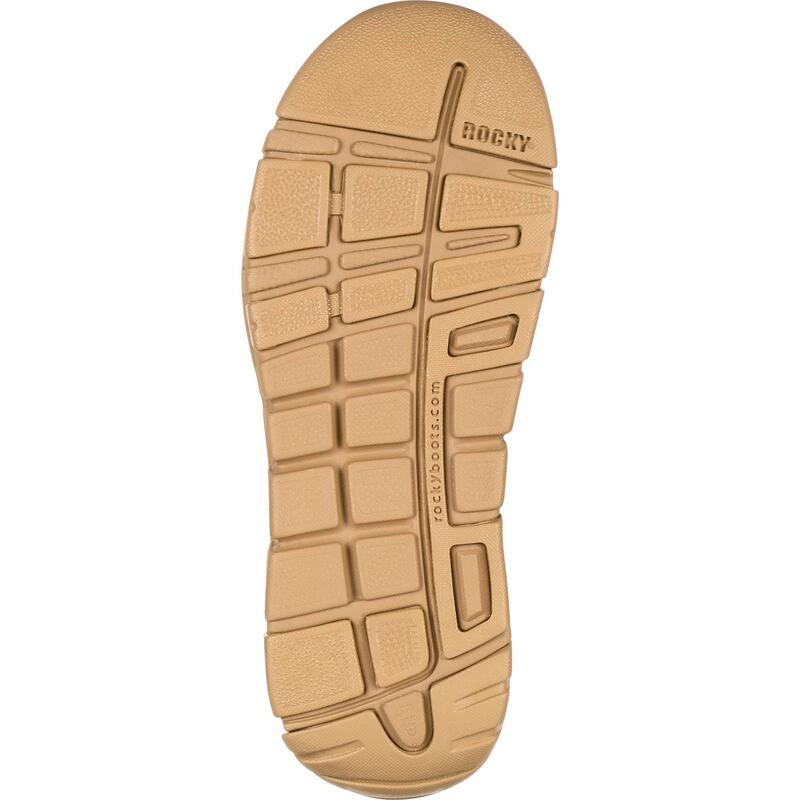 Designed for rigorous training, the Rocky C4T is a game changer. 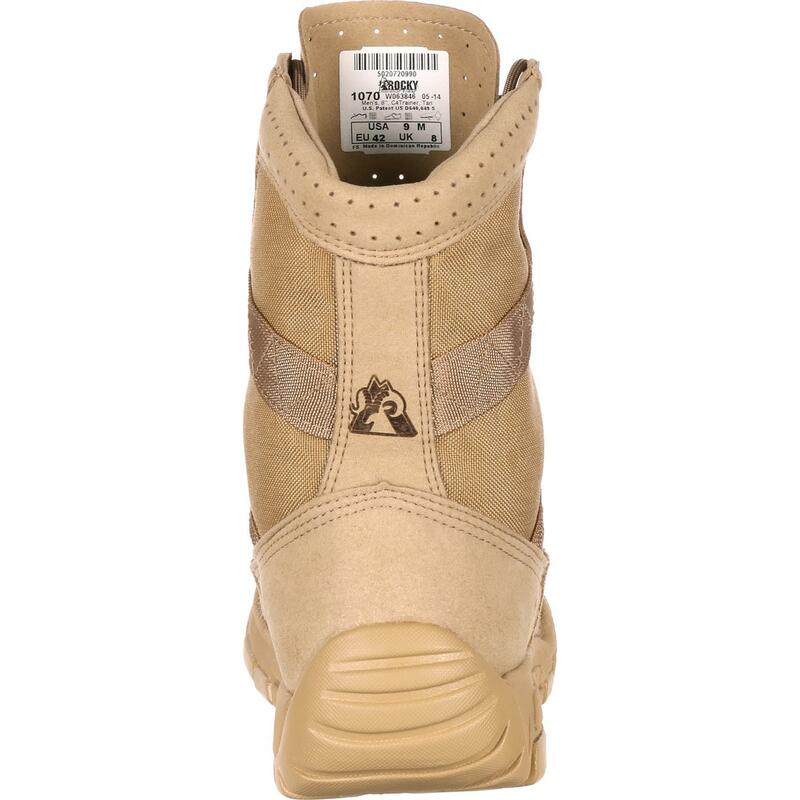 The boot's lightweight EVA/rubber outsole resists anything you can throw at it: slips, oils, heat, abrasions, chemicals and metal chips. 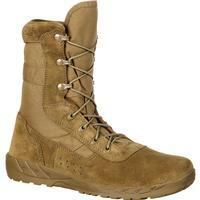 Helping you focus on the task at hand, this is water-resistant and fast-drying military boot. You have work to do and can't be distracted by wet boots. 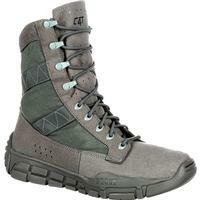 The Rocky C4T keeps up. 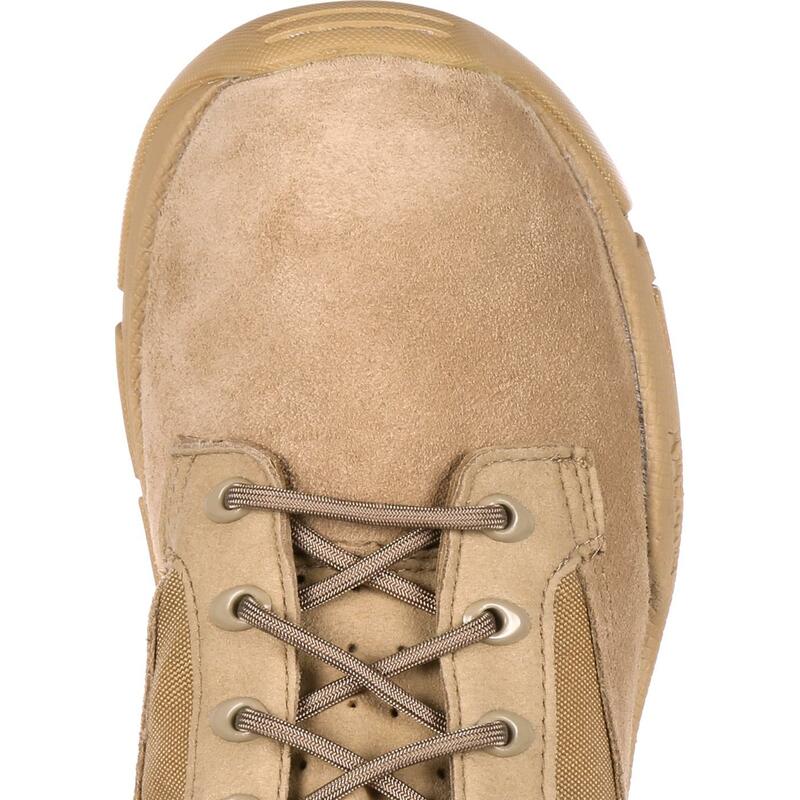 Lacing may seem minor to some, but it's important when your day consists of rigorous work. 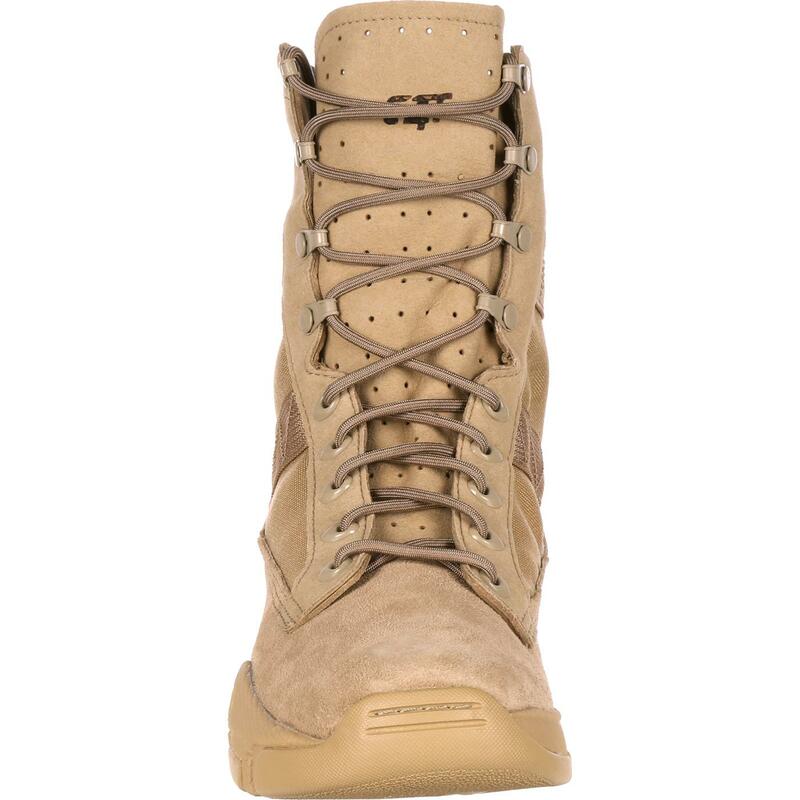 There's no time to waste and long-lasting laces are a must, so Rocky designed this military boot with speed eyelets and NATO hooks through which you can pull your 550 cord laces. 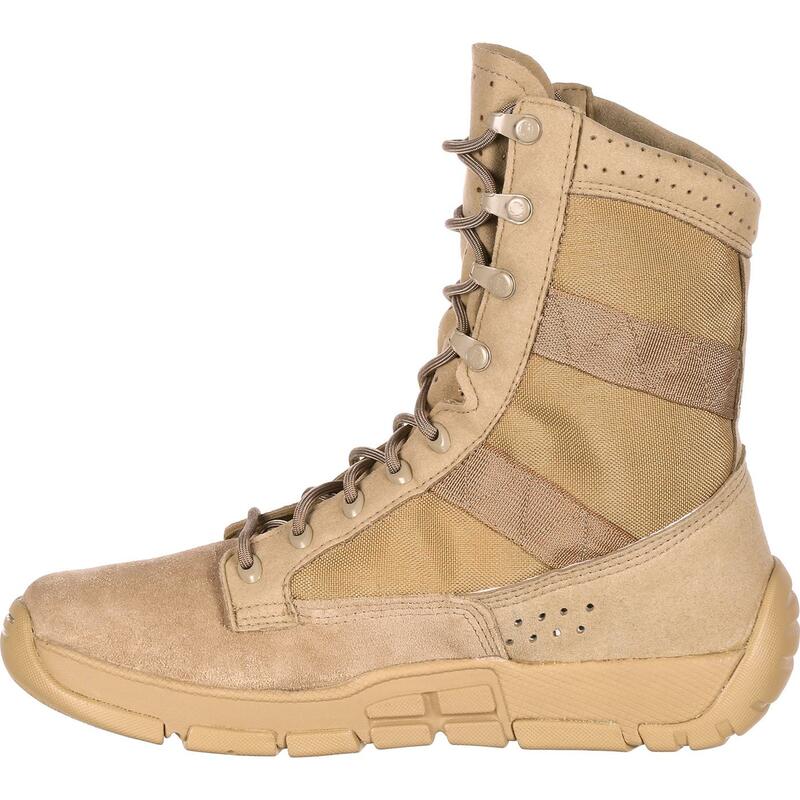 The Rocky C4T Trainer allows you to move light-footed while providing outstanding support. This round-toe boot has no metal parts. 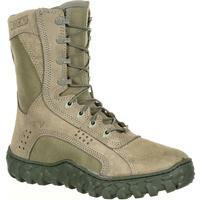 The C4T does not meet the requirements of AR 670-1 or DA PAM 670-1.